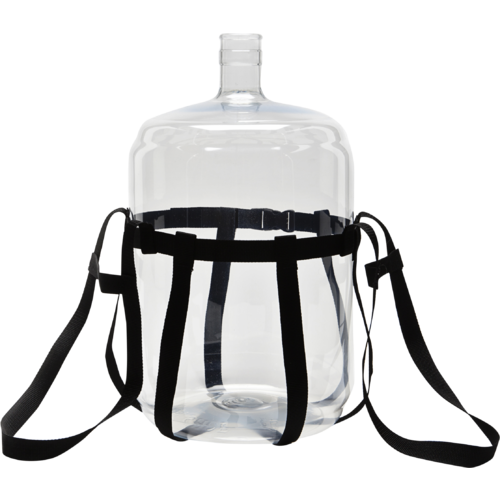 Use the Fermonster Carboy Carrier to move your Fermonster, Plastic or Glass Carboy around with ease. 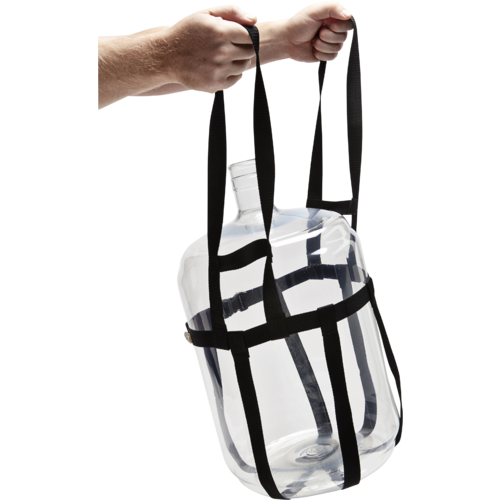 The harness and strap handles are made from heavy-duty polypropylene, enabling you to haul up to 100 lbs of your wort or finished beer without the risk of losing your grip. 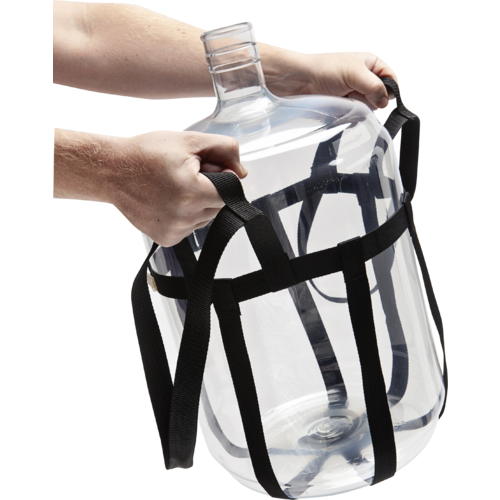 Cradle your carboy with confidence and avoid spilling! The carrier comes with handles in two different positions for added convenience. Short handles for lifting and long handles for moving. The long handles are especially handy when lifting your carboy out of a top-loading fermentation locker. Easier to lift and move. 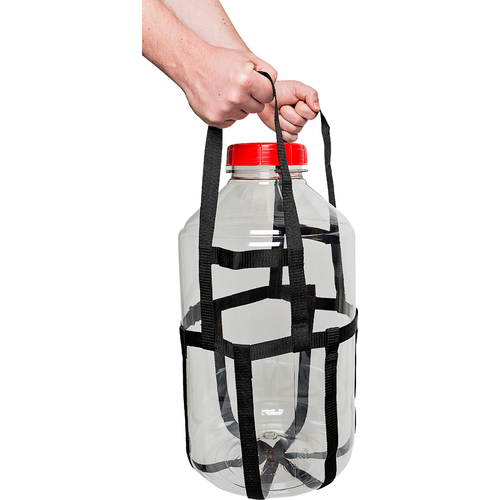 have you ever picked up a full carboy without one? So much better for lowering fermenting vessel into the chest freezer. Worked well with both the 6.5 gallon glass carboy, and the 7 gallon plastic Fermonster.